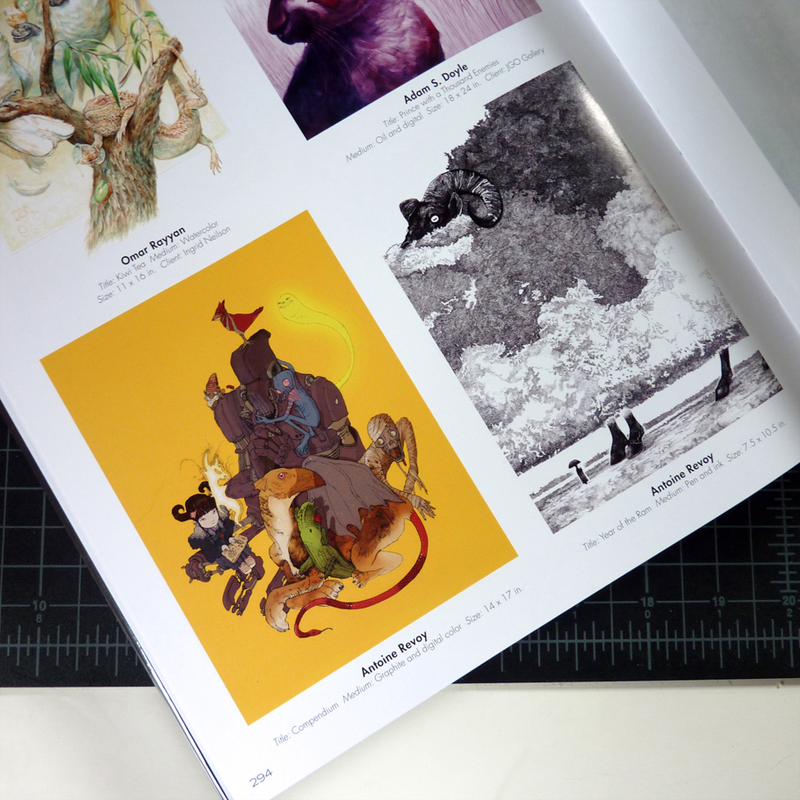 I was delighted to learn that two of my illustrations were selected for publication in Spectrum 22 – The Best of Contemporary Fantastic Art. 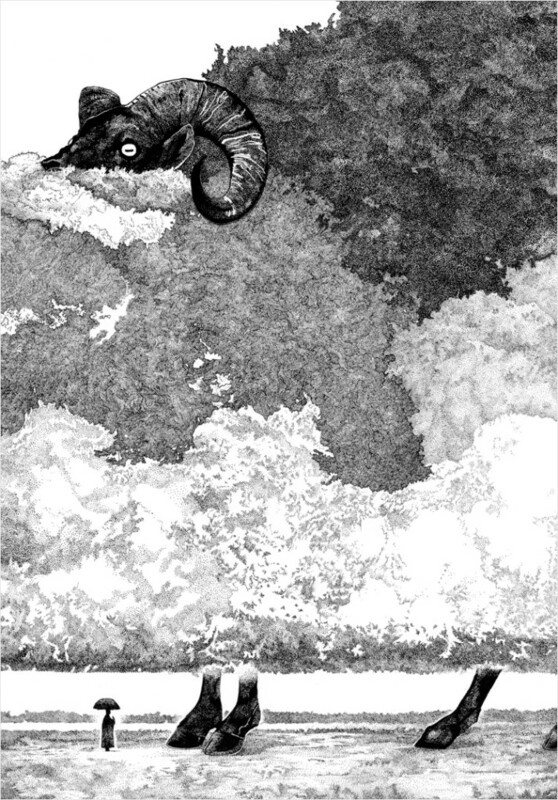 The winning illustrations are Year of the Ram and Compendium. I am featured in Print Magazine‘s June 2012 issue. 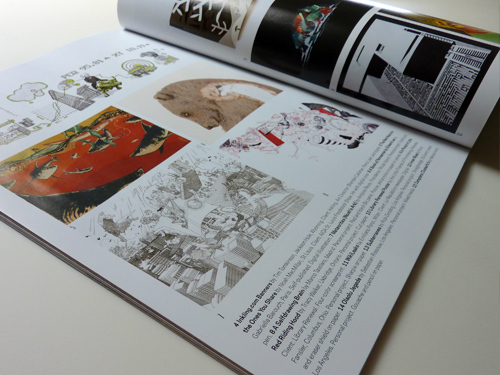 My illustration “Meteorites (Noah’s Ark)” was awarded in Print Magazine’s Hand Drawn 2012 competition. I will be featured in RISD ICONS: A Legacy of Illustration from the Rhode Island School of Design, an exhibition held in conjunction with ICON7. I have chosen to exhibit “Follow The Yellow Brick Road“. The show opening will be on June 13th and the exhibit will run from June 12th to 25th, 2012. 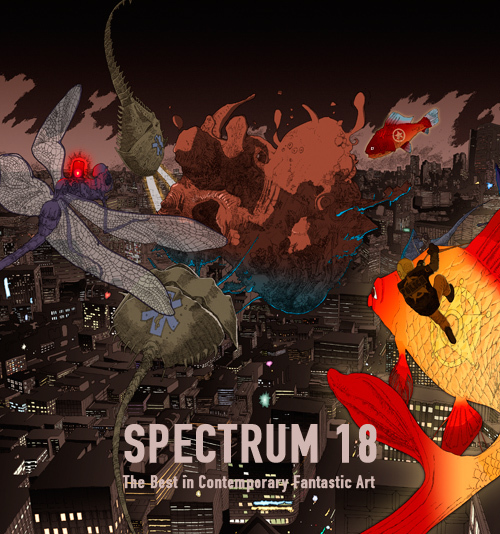 One of my illustrations was selected by Spectrum for the second consecutive year for inclusion in their annual Spectrum 19: The Best in Contemporary Fantastic Art, the authoritative publication in the field of science fiction and fantasy art. 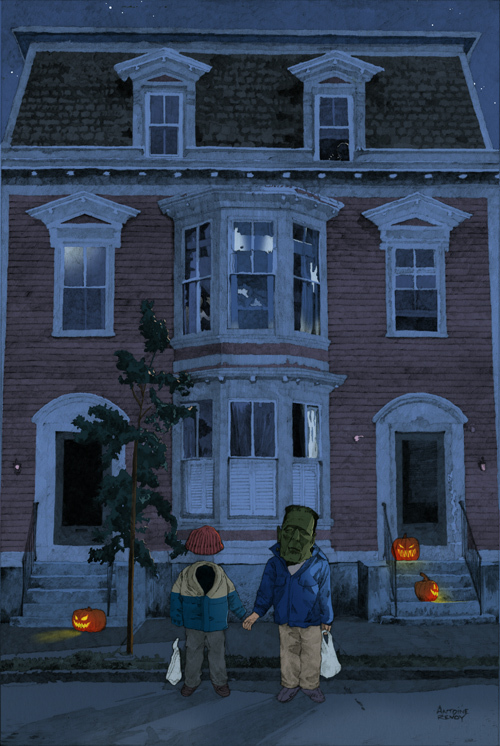 The chosen image was the Halloween-themed illustration “Trick”. Kelly Murphy and I earned a Gold Award in the book category of the Society of Illustrators of Los Angeles‘s 50th annual competition, Illustration West 50, for our illustration “The Lodge”. Kelly Murphy also earned a Bronze Award for her illustration “The Princess and the Golden Fish” and an honourable mention for the cover of “The Unicorn’s Tale”. 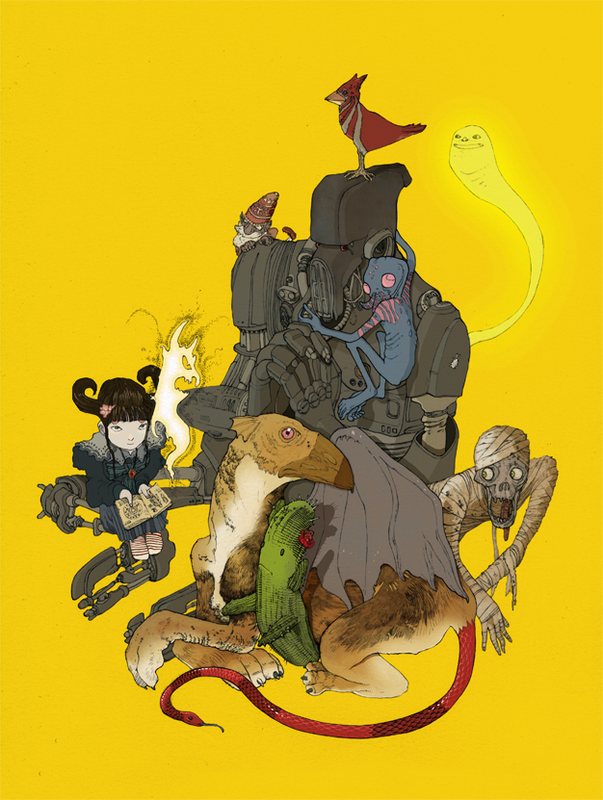 An exhibit displaying the winning entries will be held at the Gallery Nucleus, where the awards will be announced and given to the winners on opening night of Illustration West 50, March 30th 2012 from 7:00 pm until 10:00 pm. I was honoured to receive a Gold Award from Graphis Magazine for my Euro-Transfer logo. “The Euro-Transfer logo was commissioned for a pioneering service allowing online payments and money transfers to be made through the Internet in the nascent euro currency. I was contacted to provide a logomark to represent this budding company, with a request preoccupied with advertising and copy. While a logo is seldom a description of a business or trade and essentially derives its meaning by association with the identified product or establishment’s merits, I intuitively sensed a necessity and rare opportunity for a design that would not only symbolise corporate qualities but also inform prospective users of the nature and usefulness of this new service. Though the client had expressed a desire for but a company signature, I identified hitherto unimagined uses and possibilities for the image, notably in user interface; as a button or very small size icon with the dual property of clearly informing an Internet customer of the availability of a payment option in euro currency and as a trigger to execute this action. 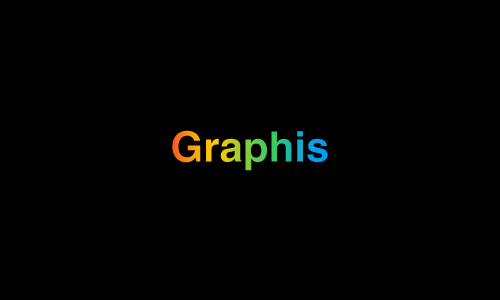 My logo design work has been selected by Graphis, The International Journal of Visual Communication, a bastion of excellence in design and visual imagery, for publication in its upcoming annual Graphis Logo Design 8. Antoine Revoy and Kelly Murphy‘s collaborative illustration “The Lodge” was selected by The Society of Illustrators during the course of its 53rd annual competition. The illustration will be featured in the society’s 53rd Annual Book and the original will be presented at the Book and Editorial Exhibit which will be held Museum of American Illustration in New York in 2011.